Wildwood Trust is a unique woodland attraction and has been a registered charity since 2002. 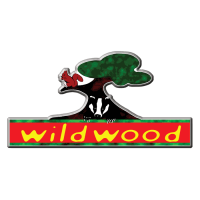 As a centre of excellence for British wildlife, Wildwood works with native, ‘previously native’ and established alien species of the UK. Set within the Blean woods complex, a designated Site of Special Scientific Interest (SSSI), the Wildwood Trust manages approximately 40 acres of woodland and its animal collection. Wildwood Trust is seeking to recruit student placement volunteers. We are looking for dedicated, full time volunteers on a 3 -12 month placement. The successful placement volunteers will work with our conservation team, which includes assisting in our small mammal captive breeding programmes and other conservation projects. Wildwood run a wide variety of conservation courses that placement volunteers would be given the opportunity to attend. Please visit our website or contact Laura Metcalfe by e-mail at volunteer@wildwoodtrust.org or by telephone on 01227712111.